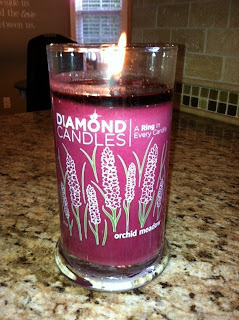 Diamond Candles reached out to me and asked me to review their product so I thought, I love candles, I love jewelry!! I decided on the Orchid Meadow. I love the scent of orchid and thought the piece of jewelry would be in the purples family and that's what I was shooting for! Here's some product information from the company. 100% soy candles; eco-friendly and natural. We don't want to be just another candle company using poor quality wax - we want to bring you premium 100% soy candles that truly display beauty and environmentally friendly materials. We want to provide you with a stellar product that promotes continued sustainability through the use of soy beans straight from mother earth. When you light the wick of one of our Diamond Candles, you'll experience unsurpassed bliss - a clean fragrance that fills up a room to take you away to paradise. We give you fair warning: These candles become addictive. Once you light one, you'll be begging for another soon to come! I loved the fact that the candles are all natural and environmentally friendly. I was hesitant to try them as some candles I have burned in the house have given me a headache but this one didn't. 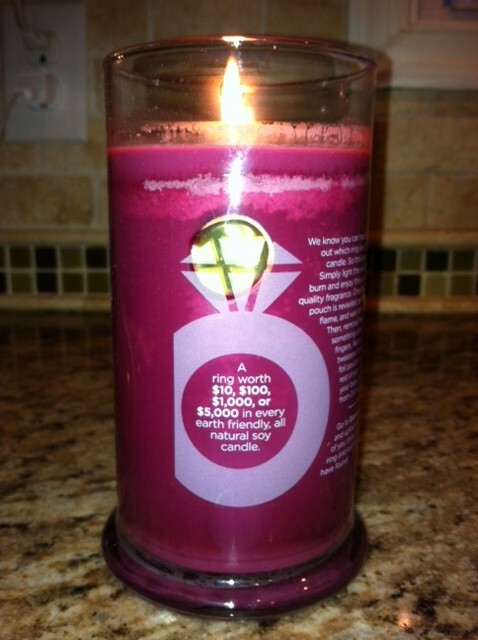 Great scent and no headache = happy me!! So I burned it for a day or two and here's the piece that I discovered. 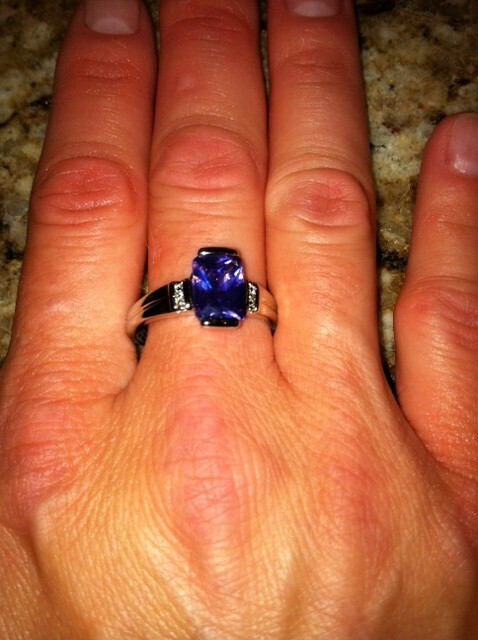 Very pretty and I like I said, I love purple. Now to the good part, the giveaway. Diamond Candles is giving away a candle to one of my lucky readers. Follow the rafflecopter.